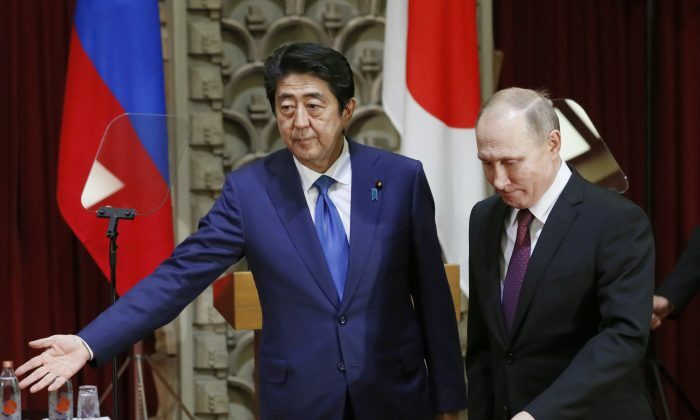 Russian President Vladimir Putin and Japanese Prime Minister Shinzo Abe have agreed to strictly implement U.N. sanctions on North Korea, Abe told reporters on Friday. The two countries will also be cooperating closely in an attempt to get the Kim Jong Un regime to stop its nuclear program. “On North Korea, we have agreed to implement U.N. sanctions strictly and to continue cooperating closely,” Abe told reporters. Abe made the remarks after holding a meeting with Putin in Danang, Vietnam where the two leaders are attending the Asia-Pacific Economic Cooperation (APEC) summit. 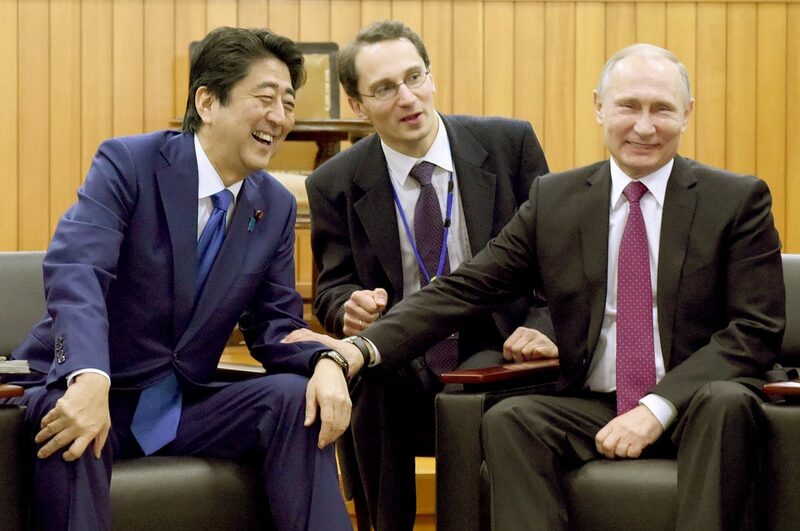 Abe’s meeting with Putin comes less than a week after his formal meeting in Tokyo with U.S. President Donald Trump where the two leaders agreed that more cooperation was needed from Russia and China. Russia and China have remained holdouts on the North Korea issue, maintaining trade and diplomatic ties that have been critical to sustaining the regime. 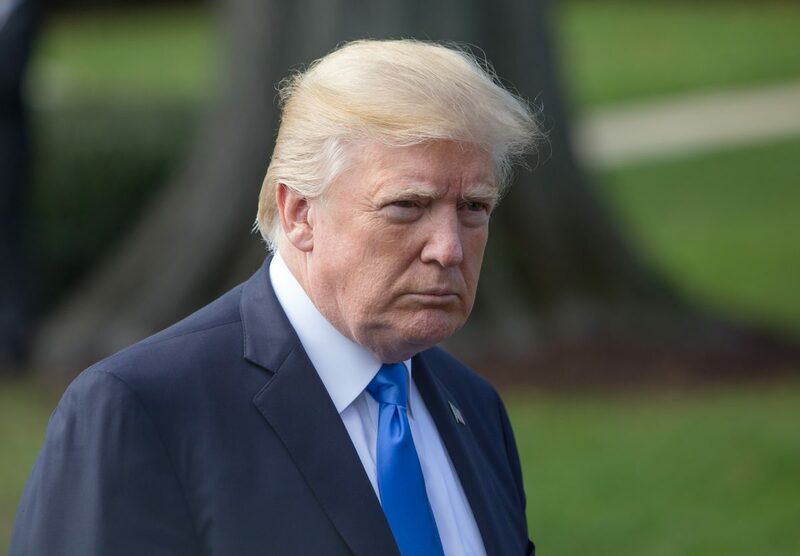 In recent comments, Trump praised China’s progress on implementing the sanctions, though he has also maintained that China could do much more given that it accounts for 90 percent of North Korea’s foreign trade. Trump has offered little praise for Putin, however, and has suggested the Russian leader is compromising the sanctions. “China is helping us, and maybe Russia’s going through the other way and hurting what we’re getting,” Trump told Fox Business earlier this month. “When I say ‘maybe,’ I know exactly what I’m talking about,” he added. In September, U.S. officials accused Russia, which has a small land border with North Korea, of smuggling vital supplies into North Korea. The Soviet Union was the Kim regime’s principal benefactor until the Iron Curtain fell in 1989. That’s when the regime’s economic mismanagement and loss of Soviet support let to a famine believed to have killed up to 3.5 million North Koreans. In 1989 North Korea was estimated to have a population of almost 20 million. For Russia, regaining influence with North Korea is a potential lever against China should their relationship sour, writes Carl Schuster, retired Navy captain and now an adjunct professor at Hawaii Pacific University, in an email interview. “A friendly nuclear North Korea, which I believe Putin has calculated is an inevitable development, can be a very important potential ally/partner against China or the U.S.,” wrote Schuster. For Putin, influence with North Korea and open defiance of U.S. policy also bolster nationalist sentiment at home, an important factor in Putin’s continued popularity as a leader. “Maintaining collective self-esteem is essential for Putin’s regime legitimacy in Russia,” Samuel Ramani, an expert on Russian foreign policy and doctoral candidate at Oxford University told Epoch Times in an earlier interview. 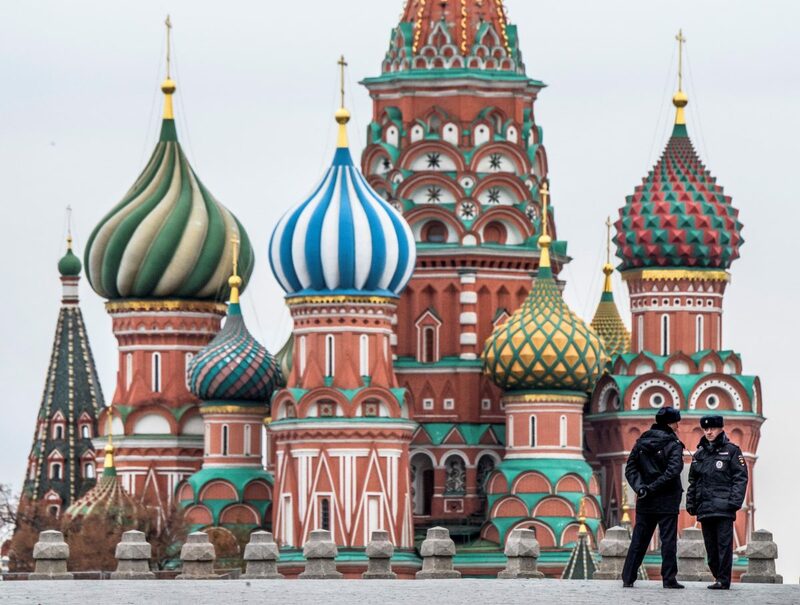 “As economic conditions have deteriorated due to falling oil prices and a lack of diversification, foreign policy has become an increasingly important driver of Russian nationalism and regime consolidation,” Ramani said. If Putin is sincere in his willingness to strictly enforce U.N. Security Council sanctions, it could present a significant development in the ongoing North Korean nuclear crisis.